The proud feeling of being a part of such a culturally devote land is something that I share with its millions of people. 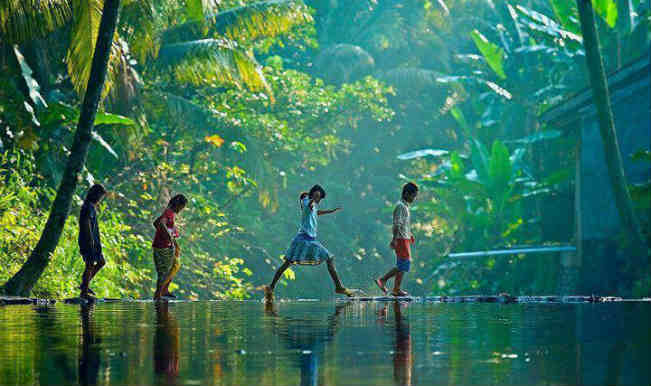 Kerala, proclaimed as The God’s own country satisfies the notion and invites thousands of tourists across the world everyday to get awed by its naturally dominant beauty and culture. 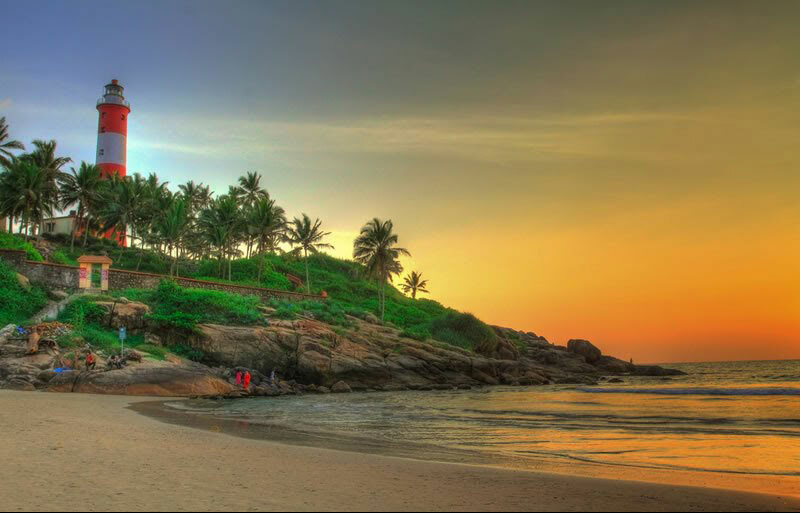 I have had a lot of wonderful experiences that can easily stand out and showcase the beauty of Kerala and its people. But here, I want to narrate a story of young keralite boy, that I had an opportunity to meet who instilled all aspects of Kerala in his innocence. In one of those annual temple festivals (known as Pooram or Vela), I met with a young boy of 10. In the first look itself I felt something vaguely odd about him. He wore a white coarse shirt along with a black trouser and a shawl that covered his neck. He held by his side a long stick, almost taller than him with a certain sense of authority and pride. It was almost evening and I was supposed to go to the rooftop of my landlord’s building that had a great view for the midnight Vedikettu (the firework show). Our landlord had invited me and my friends for the evening kite show, sleepover and then catch up with the midnight fireworks at his rooftop. So I went along with my friends to his place but got held up on the way because of a roadside groundnut selling shop and my love for groundnuts. On reaching the place, I looked around for my friends but they were already upstairs on the rooftop. There, by the gate to the rooftop along the side of the building was this boy. He looked directly into my eyes understanding my intentions and told me that I was not allowed to go up to the rooftop. He told me that there had been cases of drunkards who had made quite a ruckus when allowed to go upstairs. I tried reasoning with him, but he just brushed my reasons aside. So I took out my phone, intimidated by his authority and texted my friend Naveen to come down and get me. Meanwhile, I started chatting with the boy. I asked him for his name and who he was. He cut me of even before I finished my sentence and told me, “I am Ram Prasad Krishna, son of Krishna Kumar, the Manager.” It was like he was waiting to speak in English unlike the usual in Malayalam. I felt it quite amusing. I went along and asked him whether he had the stick beside him to beat the outsiders who tried to get in. He told me that it was not just for that but it comes in handy for all sort of things. 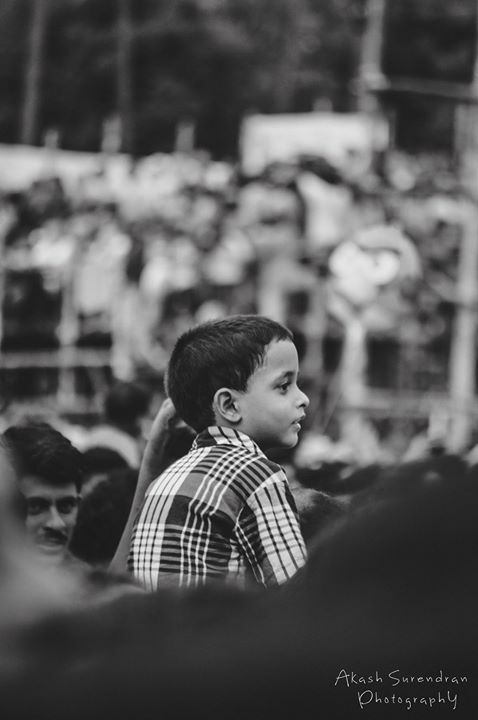 He told me that he had been to the Thrissur Pooram (One of the largest festivals showcasing the masterpiece firework display every year) and that he sat on his dad’s shoulder and watched all of it peacefully while others pushed and thrashed around in the crowd. He then told me about the fireworks at Uthralikaavu Pooram (Famous for their loud thunderous fireworks involving dynamites blasted out in the air) and how he fell of a nearby tree where he was sitting for the view in the excitement, when the fireworks reached its peak. I started getting a vibe that the boy was simply a bundle of joy. By the time Naveen came to get me, we were sitting shoulder to shoulder eating my pack of groundnuts. Once the whole pack was done, he let me pass and I went along with my friend to the rooftop. The rooftop had quite a view. We could see the temple, the procession of elephants, the huge crowd gathered around to see them and in the far side, the kite show. There were a lot of things happening in all sides. But we decided to go with the exemplary kite show. The Pooram was hosted by a community of Desams (like provinces). Each Desam made sure that they had a display of the best kites and following fireworks that could add up to their credibility. Even among all the festivities, there was a lot of competition. The people who put up the show took it up very seriously. I looked around for my other friends and saw them held up alongside the wall next to the stairs. They were mixing Vodka in Sprite bottles, just so that there wouldn’t be any publicity to the drinking and it would remain discreet. I walked upto them to check out their stash. One of them randomly asked me whether the boy was still under the building. I told them that he was and curiously asked them why? He replied telling me that the boy was a menace and if at all he got to know about us drinking, then he would give it much publicity that the discreetness would be gone even before we knew it. I started laughing involuntarily. I could see the effect of the boy on all of them. I understood that I wasn’t the only one. The boy just kept on amazing me. Once the whole vodka mixing maneuver was done and the bottles safely stashed for the night, all of us gathered around to watch the kite show. By then, my landlord and few of his friends came along to the rooftop lead by Ram. All of us greeted each other but our focus swiftly moved onto Ram, who was jumping up and down holding his stick overhead watching the kite show reel into its glory. The kite show was splendid. But watching Ram’s antics was more interesting. He kept on giving a running commentary for each of those kites that came up. His innocence just couldn’t hold up his excitement. Several times I heard him scream in agony, when the kites fell of the air prematurely. The landlord held him by his shoulder and kept telling him that there would be better ones yet to come. The announcement of the elephant procession taking off came right after the kite show. According to the tradition, the elephants decorated with trunk masks (Nettipattam), shields (Aalavattam) and fans (Venchamaram) would be lined up and walked to the nearest temple. The elephant positioned in the middle would have a large plaque (Thidambu) on its top, which represented the temple’s deity. Ram came along side me and started hooting and howling seeing the elephants. I could see that he was an ardent fan of the procession like the thousands gathered around there. Being ignorant to all the traditional values, I started asking him the questions that came up in my head. Like a wise old man, the young boy started giving me very descriptive answers. He told me the names of the 10 elephants lined up (Which I still can’t remember! ), then how the procession was supposed to be carried out and the story behind the tradition. I could actually see the Poora-premi (One who loves Poorams) dad of mine, through Ram. With the procession gone, everyone’s focus went on to the dinner. The landlord had arranged lot of snacks and a main course of Chicken Fried rice for dinner. We gathered around with paper plates to get our share. But by then, Ram was gone. I asked around and the landlord told me that he went home for dinner with his family and that he would be back in sometime. I kept wondering why the boy went home despite the delicious dinner that was being served there. I sipped my Sprite bottle and ate my Fried rice riddled with that thought. 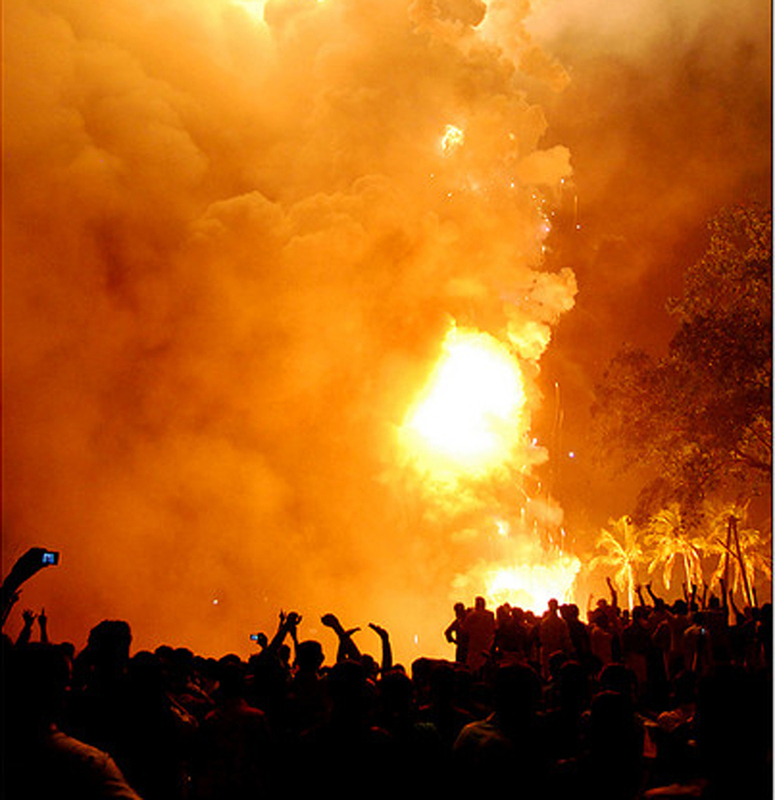 It was almost past midnight when the first set of Vedikettu (The fireworks show) started. There were four Desams (Provinces) that competed, so there would be four sets of fireworks with a gap of an hour each for the setting. We had arranged few beds on the rooftop to take quick naps between the fireworks. Ram came in a tad bit late and could only witness the end of the first set of fireworks. I asked him why he got late and he promptly told me that he had to accompany his dad, the Manager to close all the shutters of the building before coming back on to the rooftop. I was surprised. I told him that his dad could have done it all by himself and questioned why he went along with him to do it and miss the first show, which was mind blowing. He smiled and told me that he didn’t want to leave his dad alone. I smiled back. The second set of fireworks started off with a thunderous bang. Enough to wake up all those who were sleeping and to re-kindle the excitement in the little boy. We watched the rest of it with wide eyes, occasionally covering our ears when the noise went to a higher decibel. The fireworks clearly speared way across our anticipation. The second one was better than the first. With the round done, people went back to what they were doing. “Hey Ram”, I asked, “How do you know so much about all these things, your just 10.” He looked at me like he was offended by my question. Then he shrugged of the grimace and replied, “Ever since I was small, my dad used to take me along with him to all the festivals. He is a big time Poora-Premi. (One who loves Pooram’s) I kept asking him a lot of questions about the things happening there. My dad never hesitated to tell me all that I wanted to know. He always kept telling me to never hold back and if I didn’t then there would be so many things that I would learn to appreciate.” After that, not for the slightest second did I feel that I was talking to a 10 year old boy. The third set of fireworks was quick an unimpressive. Apparently, something went wrong during the setting and the sound of ambulance alerted everyone. The air filled with chatter and the loud sounding siren of the ambulance. Something bad had happened, but that did not tarnish the people’s spirits. They moved on with the anticipation for the final set. I could see Ram trying his best to stay awake despite the constant yawning. I told him to get some sleep and promised that I would wake him up before the last batch. He said that he didn’t want to sleep and started walking around the roof like a tensed sleepless soul. Just then his dad, the Manager came by and called out for him. He looked at him and waved, he told me that he would be back and to wait for him. I said I would and told him to rush to his dad. Ram went to his dad. I was left to be the only awake person on the rooftop. Ram didn’t come back. The final set of fireworks went on to be the best. But I didn’t feel the excitement that I felt when he was there. It seemed like my spirit disappeared along with the 10 year old boy. With a slight bit of resentment I lied down to get an hour sleep before we left for home in the early morning bus. I woke up with my friends ushering to leave the place. I looked around. There was no sign of Ram. I readied myself and helped my friends to pack up the makeshift bed. We packed it up and went downstairs to the store room to stash it. It had been a long night. The store room was next to the guest bedroom. We had to walk past the guest room to get there. Before leaving the place, I wanted to tell a goodbye to Ram. But I felt that the chance of that happening was slim. I walked by the guest room and was surprised to see Ram cuddled up and sleeping soundly with his head against his dad’s chest in the guest room bed. He was covered completely with his shawl, only his head showing. His stick was kept lunged to the corner of the wall. He hugged his dad and slept with a peaceful smile that melted something me. I couldn’t help but smile at that little imp who made that night unforgettable for me. I left for home with a happy heart and a mindful of memories of Ram Prasad Krishna, the little bundle of joy from the other side of the world. Kerala is a lively place with a lot of Ram’s of all ages. There are things in life that you learn when you experience something different. Sometimes it might be from a source that you never expect. But if you don’t hold yourself back, then you will live through and learn to appreciate the innocence of life. Awesome.. We can see saw many of them in thrissur like your ram’s.. Gud one. 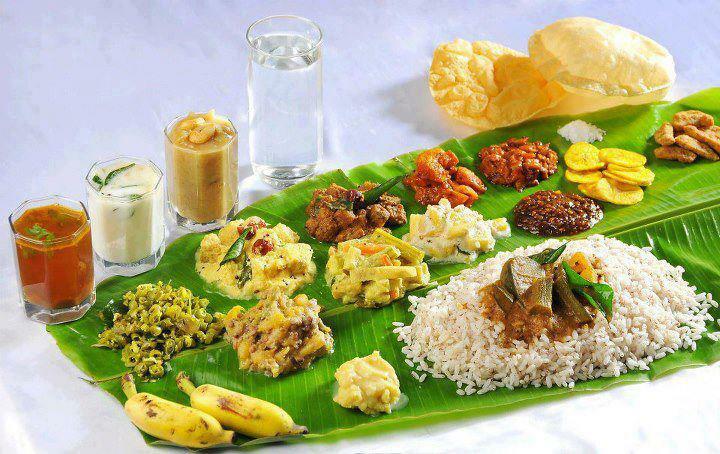 just awesome…..felt lyk reading an article of Mohan Sivanand…..too gud…. Just the thought of being compared to Mohan Sivanand is enough for me! :):) Thanks a lot! "The boy was simply a bundle of joy"